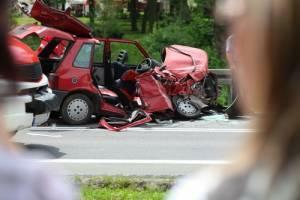 Car accidents are traumatic events that can shake even the most stoic individual in the right circumstances. The violence of the impact, the shock of hitting a solid object, and the injuries that follow in many collisions, can greatly upend the accident victims’ lives and those of their families. Serious injury can turn to tragedy when a car accident victim does not survive, and the loved ones are left to pick up the pieces as well as they can. Such a loss can be almost impossible to bear, and looking to hold someone accountable for this preventable death is a common sentiment. Assuming the other driver is equally or more at fault, the family may be able to recover monetary compensation under a wrongful death claim. Essentially, these lawsuits allow the family to stand in the place of the deceased in situations where the negligent or wrongful acts of another party caused the death. Wrongful death brings in additional elements that are not necessary for ordinary negligence cases, and a discussion of rules that govern how these cases proceed and the types of damages survivors may recover will follow below. As noted, wrongful death suits serve to allow family members to recover for a death caused by the negligent actions of another, while also allowing additional types of damages not otherwise available. Thus, the deceased must have had a right to file a lawsuit based upon the underlying act that spurred the case. Because the goal of wrongful death suits is to account for the losses both to the victim and the family, the deceased’s estate is the only individual authorized to take this legal action. The named personal representative, or the one appointed by the court, would have this ability, along with other matters related to the estate. All legal cases must follow rules that limit how long the lawsuit is valid and actionable. For wrongful death suits, two-time limits come into play – the period allowed for the underlying negligent act and the window given for the wrongful death claim itself. The estate can wait until the later window closes to file suit, as all negligence actions in Illinois, which includes personal injury cases, are given two years from the time of the injury-causing event, and wrongful death cases are given one year from the time of death. Damages awarded in a wrongful death suit are typically divided between the estate and the surviving next of kin. Economic damages, such as medical bills and lost wages, are available as well as non-economic damages for intangible losses, i.e., grief, sorrow, loss of companionship, pain and suffering, etc. These damages would be collected for the benefit of the survivors, but recovery for things like funeral expenses would typically go to the estate. There is no cap on the amount of the recovery, and juries may award the amount they believe is just under the circumstances. Importantly, if damages are awarded, only certain individuals are entitled to receive the money, and it will be allocated according to how close a person was to the deceased. Illinois law specifically states that the amount recovered is exclusively for the spouse and other surviving next of kin, i.e., children, parents, siblings, and adoptive children. Wrongful death actions can quickly become complicated, and working with an experienced personal injury attorney is the best way to ensure the family’s interests are fully protected. Losing a loved one to an accident is an awful event that is hard to get over. Money will never bring this person back, but it can provide a measure of comfort. The dedicated DuPage County car accident attorneys at the Mevorah Law Offices, LLC handle all types of personal injury cases and can advise you on your rights if your loved was killed by another person’s negligence. Contact the office today at 630-529-4761 for a free consultation.